Most of us live in a community, with other human beings. If we consider communities in the natural world, we define those as an association of interacting species within a given physical area. The boundaries of a community may be difficult to define precisely in nature, but in caves that becomes much easier because caves have well-defined boundaries. 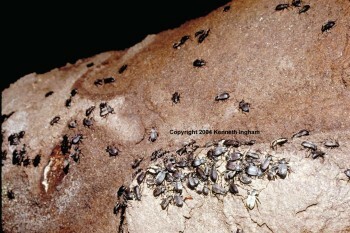 This group of Darkling Beetles is an example of a cave community. The number of species, the relative abundance of individuals within each species, and how these different species interact with each other and their environment are all important aspects of the study of communities. 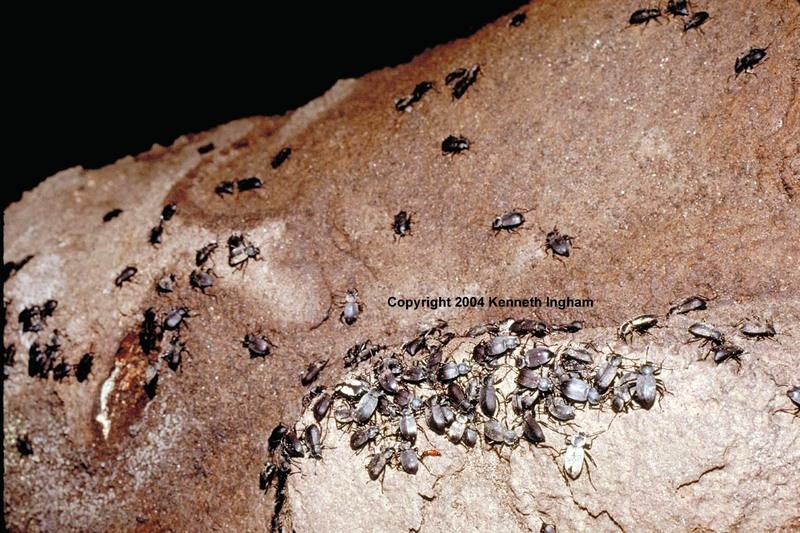 Within caves, different habitats, such as bat guano or streams, may create specialized communities. Animal, microbial, and plant communities may vary from cave to cave, but they have similar interactions as those seen in communities above the ground: mutualism, predation, and competition.